Hurricane season is now through October. With last year's series of natural disasters in Texas, Louisiana, Puerto Rico, Virgin Islands, and the crippling winter storms in the Northeast, is your organization fully prepared to cope with a catastrophic event? Learn about New COOP Requirements, Federal Government Policy, Best & Proven Practices and what they mean for your organization. The Federal Government’s continuity requirements are currently being updated and this workshop will address new developments and how it will impact your organization. New emphasis has been placed on Federal Career and Newly Appointed Leadership to insure continuity in all mission aspects. There will be no excuses for lack of performance in the event of an emergency. Your agency leadership is more dependent than ever on its COOP personal. Is your agency management currently satisfied with its COOP Planning, Policy and Execution? Is your agency prepared for all level of incidents and is it resilient? Attend this proven Potomac Forum Training Workshop to improve or fine tune your agency COOP planning and policy. Government and Industry Leaders Present Practical Solutions to Government Continuity of Operations Requirements. This is a “How To” workshop “with proven instructors and guest speakers. Rated as “Excellent” the previous 25 workshop sessions! Potomac Forum is so confident that each and every attendee will be pleased with the information presented and its value to the government that Potomac Forum will provide a FULL REFUND for any student that does not find the two day workshop of value to their organization. What’s In It For Me - Instructors will simply and clearly answer the “what’s in it for me” question from the leadership level through, and right down to the individual implementers' level. Learn how to Justify Continuity Efforts to Senior Management and Build Cooperation and Consensus with “Front Line” Leaders. This technique, though simple and easily tailored, is often the key to gain leadership’s buy-in and individual understanding of the complexities involving the many facets of COOP. You will see a simple concept that will allow you to capture, catalog, measure and report on existing Continuity Implementations that already exist within your organization. ... then this is the session for you to deliver a practical and sustainable Continuity Program that complies with government regulations, best practices and effective management. Lectures, classroom exercises, and government panelists. A Federal COOP Manager's path to program maturity. Attendees will be given table topics based upon the morning training. Operational perspectives from activation to completion of an event. How to capture what you already have and items yet to be done. Development of executive decision aid of COOP event. Create and maintain site-specific orientation guides. How telework interfaces with COOP operations. Practical guide to developing and improving Devolution within your organization. Framework for success in setting up engaging events. Opportunity to discuss specific agency COOP challenges with instructors. Team Rate: Send a team to learn together. Register two employees from the same office at the same time and the third person onwards registers at $300 off the current rate. Mr. Chávez is a career Senior Executive at the U.S. Department of Homeland Security (DHS). 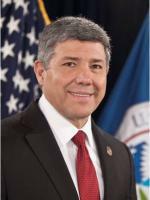 As the Director of the Office of Operations Coordination (OPS), he provides counsel directly to the Secretary of Homeland Security on a wide range of operational issues to include prevention, protection, mitigation, response and recovery operations, continuity of operations (COOP), and planning. He leads an office of more than 500 people who are responsible for monitoring the security of the United States on a daily basis, providing national situational awareness, and developing the national common operating picture. His office provides vital decision support information to the Federal interagency, Governors, Homeland Security Advisors, law enforcement, private sector, and critical infrastructure operators across the homeland security enterprise. Mr. Chávez has over 30 years of government experience serving with DHS and with the Department of Defense (DoD), as an Air Force officer and later as a senior civilian advisor in the Office of the Secretary of Defense. As a senior civilian advisor, he worked directly with the Department of State and with foreign governments to develop policy regarding the request for assistance process to enable host nation support to prepare for and respond to a chemical, biological, radiological, and nuclear event. He also served as Director, Domestic Consequence Management, where he led a staff that developed policy for Defense Support of Civil Authorities preparedness and response operations throughout DoD and with 32 other Federal agencies. Mr. Chávez was responsible for leading DoD’s largest, most comprehensive, and most extensive civil support mission ever in response to Hurricane Katrina, and he led DoD’s pandemic influenza preparedness and response efforts. Mr. Chávez came to DHS in 2010 as the Deputy Director of OPS. In 2011, he was selected as the Director of OPS. During his tenure leading OPS, the organization has responded to several key events, most notably the Deepwater Horizon oil spill, the Japanese earthquake and tsunami response, a number of National Special Security Events (including two States of the Union, two political conventions, and several global summits), and over 70 exercises. Mr. Chávez holds a Bachelor of Science professional degree in Corrections and Law Enforcement from East Carolina University in Greenville, North Carolina. He also holds a Master’s degree in Public Administration from Golden Gate University, San Francisco, California, and a Master’s degree in Strategic Studies from the Air War College, Maxwell Air Force Base, Alabama. 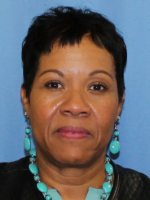 Veronica M. Glass (fondly known as “Roni”) started her public and professional service working for legacy U.S. Customs Service under Department of Treasury (now Customs and Border Protection (CBP)) before it was merged with the 24+ Components comprised of the Department of Homeland Security (DHS). Ms. Glass’ 38+ years of work in public service has exposed her to vast opportunities at all levels of management. Her experience with the changing world of IT afforded her the unique opportunity to be asked to help revitalize the CBP Continuity Program. As the Continuity Manager, CBP Continuity of Operations (COOP) Program, Ms. Glass had complete oversight and responsibility not only for CBP Headquarters (within the NCR) but all of CBP field port, airport, and border locations as it relates to COOP activities and execution. Now, as the DHS Deputy Director, Continuity Division, Ms. Glass is responsible for internal department-wide oversight, coordination, integration, and execution of continuity and continuity of government program, policy, and plans as it pertains to all threat / all hazard conditions across DHS. She has been working in the Emergency Management field (contingency planning) for the last 15+ years and has taken every opportunity with the new challenges to become as informed and trained on continuity and emergency planning as possible. Ms. Glass participates in Disaster Recovery Institute (DRI) training and is a candidate Certified Business Continuity Planner (CBCP). She has completed coursework in Information Assurance (IA) and continuity planning at the Department of Defense (DoD) Information Resource Management College (IRMC), Fort McNair amongst other pertinent course work. Ms. Glass is passionate about her challenge of emergency management, working with the people she meets and championing the cause of continuity whenever and wherever she can. Dean Gallup, MBCP CHEP, is a well respected Disaster Recovery Professional. He has over 35 years’ experience in in emergency management, disaster recovery and continuity planning, data center operations, governance and security risk management. His clients included the IRS, U.S. House of Representatives, SEC, FDIC, and other federal and DoD agencies, and state agencies including Virginia Tax. 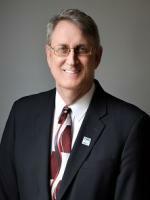 He is a co-author of NIST Special Publication (SP) 800-34 Revision 1, Contingency Planning Guide for Federal Information Systems, and regularly speaks on Federal contingency planning. Prior to moving to Virginia, Mr. Gallup was Chief of Technical Services at the NYS Division of Criminal Justice Services, managing a 24/7 data center and overseeing infrastructure implementation for a state-wide automated fingerprint identification system. Mr. Gallup is chair of the DRI International Glossary for Resiliency, and volunteers with the DRI International Veterans Outreach, Healthcare and Resiliency in Education committees. He volunteers as Vice President for the Mid Atlantic Disaster Recovery Association (MADRA). He is an Advanced Life Support EMT with Spotsylvania (Virginia) Rescue Squad, and was recently awarded the agency’s 2017 Good Role Model award, and was 2015 Member of the Year, continuing his nearly 40 commitment volunteer emergency services. 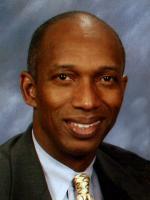 Calvin W. Turner Jr. is the Director of the National Finance Center (NFC). Mr. Turner joined NFC in October 2011, as the Deputy Director, and most recently, he was the Acting Director. Prior to joining NFC, Mr. Turner had more than 20 years of leadership experience in the banking industry with Whitney National Bank, Hibernia National Bank, and the Federal Reserve Bank. He was also an Associate Instructor with the University of Phoenix at the New Orleans campus, and he was the owner of two small businesses. Mr. Turner is active in the community and frequently volunteers as on-air talent with WYES TV/Channel 12 Public Television to help raise money with their pledge drives, and he has served on the boards of numerous local community organizations. Mr. Turner has a Master’s degree in Public Administration and an undergraduate degree in Business Management and Communications. Kenny holds a Masters in Security Management/Emergency Planning, is a DRII Certified Business Continuity Planner, is Six Sigma (Green Belt) certified and a published author. His book is titled “Disaster Management & COOP Handbook”. Kenny has developed and implemented numerous programs and process improvement procedures within the Federal Government and National Capitol Region for the Office of the Secretary of Defense, Joint Staff, Defense Information Systems and Department of Homeland Security. Elizabeth Voeller is a Program Manager at eGlobalTech where she provides consulting support on cyber risk management, incident response, emergency management, and strategic communications to the Chief Information Security Officer (CISO) at the Department of Health and Human Services (HHS) Office of Information Security. Prior to that, Ms. Voeller spent 8 years at Booz Allen Hamilton as a Lead Associate supporting Federal business continuity/COOP, critical infrastructure analysis, strategic planning and communications, and emergency management programs. She has facilitated national level exercises and senior leadership meetings for the Department of Homeland Security (DHS), written Congressional briefings for the Federal Emergency Management Agency (FEMA), drafted and rolled out national-level plans for DHS, and developed pandemic response tools and emergency communications curriculum for the Department of Defense (DoD) PACOM and USAFRICOM. She has a Masters degree in International Affairs from American University and an Bachelors degree in Political Science and English from Hamline University in Saint Paul, MN. Ms. Voeller is currently the Vice President of the Mid Atlantic Disaster Recovery Association ("MADRA", a certified Project Management Professional (PMP), and a DRII-certified Associate Business Continuity Professional (ABCP). Joe Douglas is a recognized expert within continuity operations COOP and emergency planning. Previously he was the Director of the ICE ITS Continuity of Operations Practice based in Reston, Virginia. He has planned and executed continuity efforts for DHS, Customs and Border Protection, US Coast Guard and Department of Justice. He is currently the Continuity Program Manager for the US International Trade Commission. Prior to this engagement he supported DHS with emergency relocation site planning and led the tactical continuity planning and implementation of CBP’s Continuity Program. Joe has performed as an exercise controller in Eagle Horizon and National Level Exercises. He developed the alternate site reception plan for US Coast Guard Commandant Staff and completed the IT Contingency Plan for DOJ’s Consolidated Asset Tracking System. He was a trusted agent in Forward Challenge 2004 and has been instrumental in the planning, outfitting and accreditation of Sensitive Compartmented Information Facilities (SCIF) within the Continuity Community. Joe previously served as an officer in the United States Coast Guard performing both operational and staff duties that included coordination of directorate-level Year 2000 (Y2K) contingency planning. Mr. Douglas holds a Bachelor of Science in Computer Science from Appalachian State University.